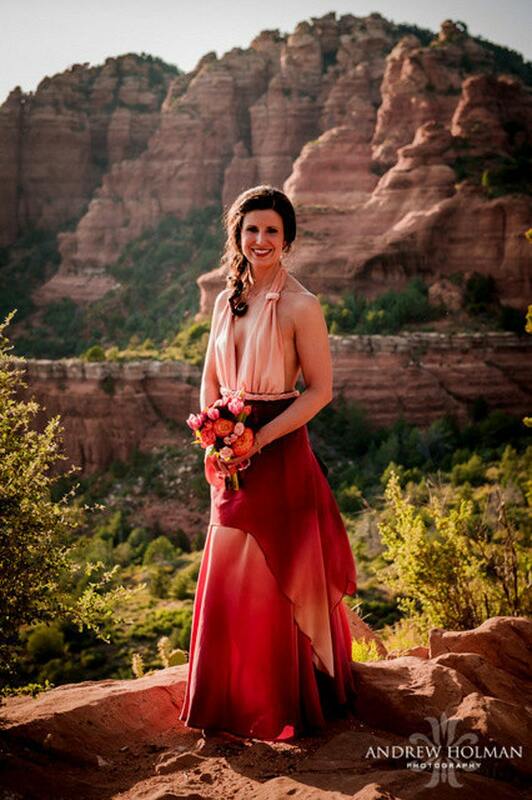 Let me create your perfect wedding silk fabric in your own personal color and design theme. I can create this ombre look for you in any color of your choice. Or, if you review other designs in my shop, I can create fabric with design details whether it is floral, abstract or minimalism. $200 for initial design sketch, fabric color match, - see more details regarding custom orders. This particular dress had 11 yards of fabric that I painted. It required color matching on every seam. You can see in the photos. Additional Customize yardage varies in price from $100 to $300 per yard depending on how intricate the design is. So, don't let this fee scare you away. Price varies for each customer request/commission.Your project might be less work. This project was time consuming due to matching the colors on 11 yards of fabric. If you want a specific design, and dye colors, I'd love to help. To discuss your project, send me a conversation through Etsy. You are probably asking yourself, “How do I know this artist can produce what I want?” You might also wonder if you can trust this person after sending a deposit. Custom Orders are exactly what is suggests. You are requesting a custom design so it requires conversations to complete your desires. We discuss fees, color, measurements, and deadlines. 1: The first step is to create a sketch of the design in a miniature version. A deposit is paid first. The amount is usually 1/3 of the cost of final project. 2: After I receive your payment, I finalize sketch and send to you via Etsy or email. I can also send you the original sketch which is usually nice enough to frame so you will be getting two pieces of art for the price of one. 3: After your verbal/written approval and final payment for the project is received, I create your final wearable art piece. It is shipped within the time frame we’ve agreed upon. Disclaimer: Custom Art is created after all approvals have been met. The sketch is only an indication of colors, and detail but will not be exact to final art. Final art requires numerous hours and is usually better than original sketch. I take great pride in producing something you will love but I want you to understand it is my interpretation of your desire. If you are not satisfied with initial sketch phase, you can stop the project. You will still have a nice piece of art to frame or give away. NO CUSTOM WORK on final projects is returnable. If you did not see this note before you responded to me in a conversation, I will send this information above.